I entered Indies Unlimited’s Flash Fiction Challenge this week because the topic, put up on Mother’s Day weekend, spoke to me: Write a story about your mother. This bit immediately came to mind. And it won, which means the story gets to be in the 2014 Flash Fiction Anthology. You can find the link to the IU page and KS Brooks’ lovely photo here. My mother owned Thanksgiving. She shooed us from the kitchen to watch the Macy’s Parade, waved off our offers to help, busied our small, sticky hands with gingerbread man production. Her children happily entertained by the Bullwinkle blimp, she made everything from scratch, her mouth growing tense as the oven timer counted down to Norman Rockwell Judgment Day. Finally a grown woman with my own household, I wanted to ease her burden. Could I take over something? Maybe…cranberries? Several times she denied me. I kept asking. She would allow me to pick up cream on the way to her house. Wash dishes afterward. It wasn’t enough, though. One year, overwhelmed perhaps with stepsons, grandchildren, and family illnesses, she hesitated after I begged for cranberry detail. “Please. 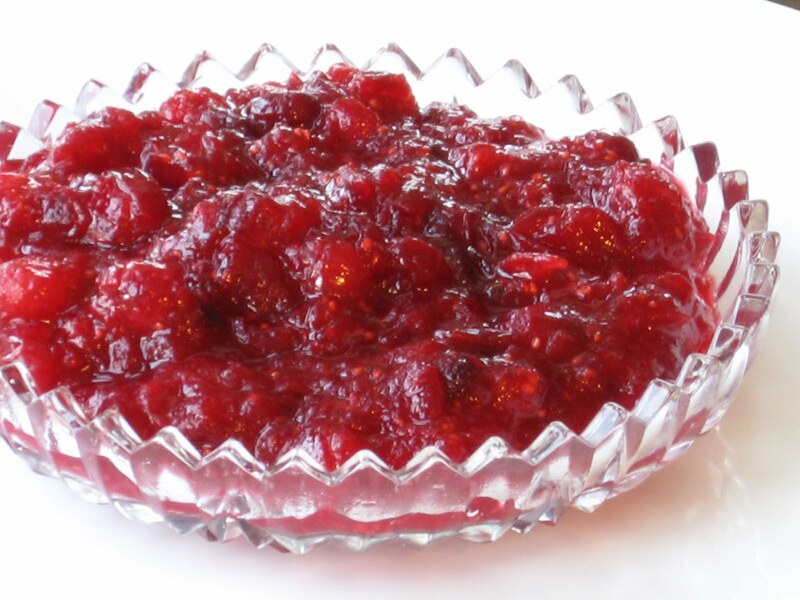 Tell me how you do it.” I thought her magical, how she conjured up the tangy orange cranberry relish. And the sauce! Sparkling in her cut-glass bowls—ruby red and tart-sweet. Surely her cleverness knew no bounds if she could design concoctions so wonderful from a humble bog fruit. Love it! Congrats on the win, Laurie.